Broodmares: in Addition to Regular Vaccination. Should Be Vaccinated for Rhinopheumonitis at 3, 5, 7, & 9 Months Gestation to Prevent Abortion (Killed Virus Only). Deworm Pre-Foaling however It Is Recommended to Not Do Any Vaccinations from 2 Weeks Pre-Breeding Until 45 Days Pregnancy. STRANGLES: Young Horses in Contact With Other Horses in Concentration. POTOMAC HORSE FEVER: Only if Going to an Area Where This Is Present. TRAVELING: Check With State of Destination for Shipping Requirements & Vaccines, Most Require a Coggins Test and Health Paper. NUTRITION: You Should Be Able to Feel but Not See Ribs. Continuous Access to Grass or Grass Hay. 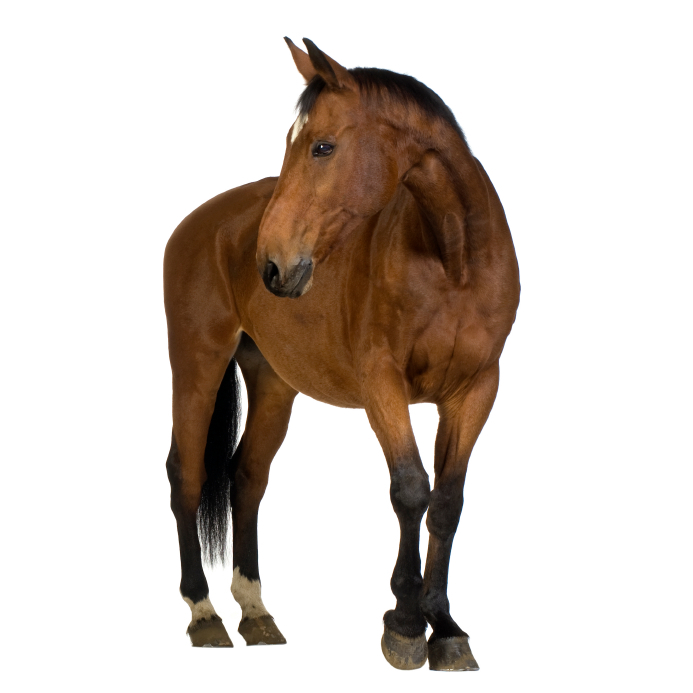 Most Horses Should Only be on Pasture Half of the Day to Prevent Foundering (i.e. out during the day and in at night) Depending on Metabolism and Pasture Continuous access to trace mineral mix. 12-14% protein grain mix and up to 1-2 flakes of alfalfa as needed to maintain condition.